Be the first to try new ISPmanager 6 (or the successor of ISPmanager, which is more correct) — Vepp. A simple tool for complex tasks: website and server management, domain, mail, and SSL-certificates settings. 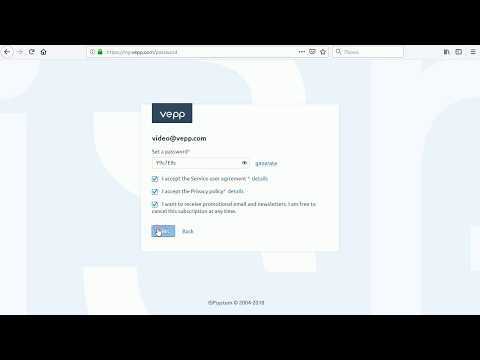 • There are no complicated settings on the website management level in Vepp. • UX/UI is as intuitive as website builders but includes all hosting control panels features. ISPmanager Vepp is also a platform with 1 apps listed on AlternativeTo. Browse all 1 apps for ISPmanager Vepp. One time purchase ranging between $73 and $294, and / or subscription that costs between $5 and $15. Price may vary depending on commitment and so on. ISPmanager Vepp (sometimes referred to as ISPmanager, Vepp) was added by stsepelev in Feb 2013 and the latest update was made in Apr 2019. The list of alternatives was updated Apr 2019 There is a history of all activites on ISPmanager Vepp in our Activity Log. It's possible to update the information on ISPmanager Vepp or report it as discontinued, duplicated or spam. Alternatives to ISPmanager Vepp for Linux, Web, Self-Hosted, Windows, BSD and more. Filter by license to discover only free or Open Source alternatives. This list contains a total of 25+ apps similar to ISPmanager Vepp. Good choice for high effective server management. Quickly and easy.